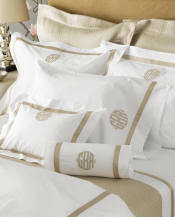 Arching appliqué border on white or ivory 600TC long staple Egyptian cotton percale sheeting. King and queen sheet sets include 1 fitted, 1 flat and 1 pair of cases. 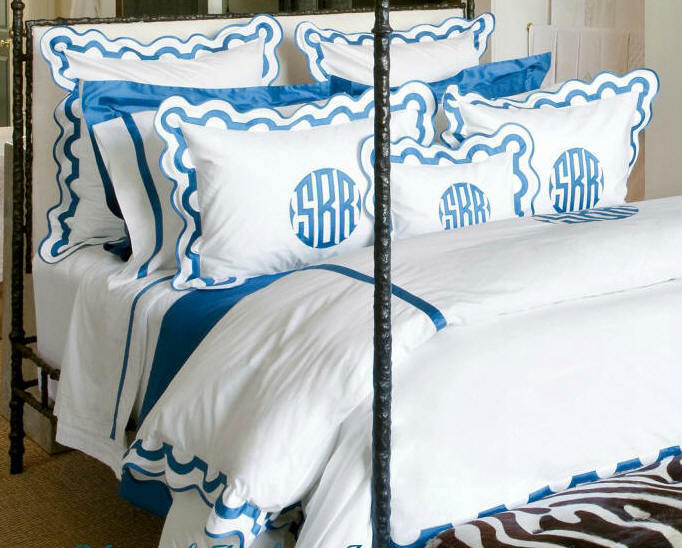 Appliqué monogram shown is 'Stefan'. Custom Color Combinations Available from any of the Nocturne color selections. Please call for assistance.